Medellin is renowned for its cable car system, which promotes the interconnectivity of residents by linking communities in the hillside to the metro and city centre. Football has also been a key part of the history of Medellín. Two of most high-profile names associated with football in Medellín are the Escobars, Pablo the drug cartel kingpin who maintained a close relationship with professional and international footballers in Colombia, and Andrés, the Colombian World Cup 1994 player who was tragically murdered. However, at a community level, football pitches have recently become a novel urban intervention located in the heart of rapidly changing neighbourhoods. They are part of what are called “Life Units”, which are colourful and clean structures built into the hillside for local communities. The “Life Units” comprise much more than just the football pitches and underneath these are layers of other facilities. This includes gyms, childcare settings, playgrounds, cinemas, computer labs, classrooms, community shops, dance studios, DJ recording labs, swimming pools, water zones, basketball courts and futsal pitches. Critically, the “Life Unit” is a space designed by the local community using funds made available to them by the local authority (municipality council). This enables the community to own and maintain a space for socialising and engaging in cultural activities and healthy recreational physical activity. The “Life Units” also address broader health needs by providing high quality sanitary facilities and clean water fountains. There are also medical support services that include general practitioners and other health care and social support professionals. Importantly, access to all facilities and services provided at a “Life Unit” is free for all local community members. In summary, the “Life Units” represent a genuine SDP intervention where sport infrastructure has been prioritised and built as a cornerstone of meeting broader community needs. Our experiences of these facilities stimulated discussion amongst the editorial team about the origins of SDP in Colombia. It also prompted us to reflect on the role of sport in the country’s history of conflict and the ensuing post-conflict phase. The editors are delighted to have collaborated with the authors of this special issue, who have embraced the opportunity to share empirical and applied research across a range of topics, countries, sports and methods. This provides an exciting and varied insight into SDP in Latin America and the Caribbean. Gadais, Webb and Rodriquez15 examine the use of report analysis as an SDP research tool within the case of the El Salvador Olimpica Municipal’s programme. The paper describes the value of analysing the contents of an SDP agency report (activity or annual), especially when it is not timely, practical or feasible to directly access programmes on the ground. Building on Greimas’ Actantial model16 and the SDP Snakes and Ladders model,17 a semiotic analysis method specifically adapted for SDP projects is proposed. It is suggested that such analysis of concepts that theoretically help or hinder SDP projects are brought to the fore and serve as an initial waypoint when analyzing reports. By applying this approach to one specific SDP project report (case study), this paper demonstrates that valuable insights about management priorities and practices may be obtained when the proposed research tool is applied systematically and rigorously. 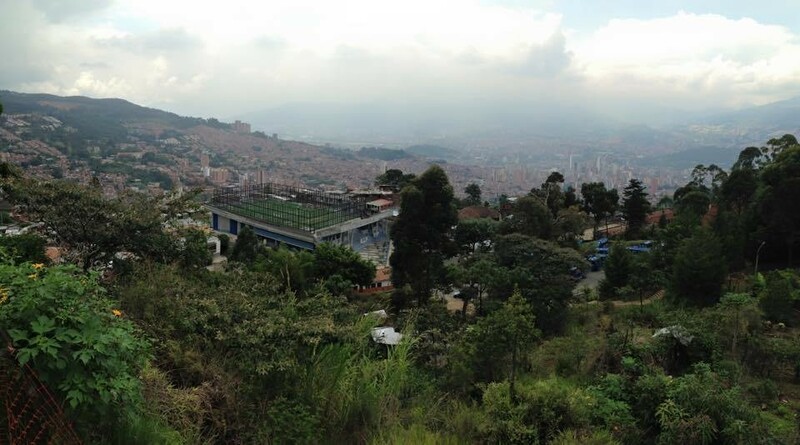 Hills, Velásquez and Walker18 contributed the paper, Sport as an Analogy to Teach Life Skills and Redefine Moral Values: A Case Study of the ‘Seedbeds of Peace’ Sport-for-Development Programme in Medellin (Colombia). This explores how sport has been used to address the legacy of an illegal and violent culture that stems from when Medellin was plagued with drug trafficking and given the dubious distinction of being the murder capital of the world over 25 years ago. This historical context had eroded values systems and left disadvantaged children vulnerable to criminal activities. To begin addressing this social problem, the Conconcreto Foundation leveraged Colombia’s passion for football in its SDP ‘Seedbeds of Peace’ programme. A case study design was used to illustrate how the ‘Seedbeds of Peace’ programme uses football as an analogy to teach life skills and redefine moral values. It adds to the limited theoretical understanding of how sport works in social change and further equips SDP practitioners with a sport mechanism not previously discussed in the literature. Zipp and Nauright19 produced the paper, Levelling the Playing Field: Human Capability Approach and Lived Realities for Sport and Gender in the Caribbean. This offers new insight in the area of sport, development and gender. Most previous research in this space has focussed on how girls and women access and experience sport and sport participation for girls is often described as a form of empowerment, including a mechanism to enhance life skills. However, little previous research has included the response of boys to girls in sport. This study explores the experience of both boys and girls to better understand gender role attitudes in SDP in the Eastern Caribbean. Wright, Jacobs, Howell and Ressler20 explore the immediate outcomes of an education programme provided to 33 youth SDP coaches and its subsequent implementation in the first year of a project in Belize. While SDP programmes exist across the globe, there is a gap in the literature describing and evaluating programmes that have proven successful in Latin America and the Caribbean. The Belizean Youth Sport Coalition was a two-way coaching exchange project that spanned three years and aimed to promote positive youth development and social change through sport. Multiple data sources indicate the education programme was effective in terms of participants’: (1) satisfaction with the training, (2) content knowledge, (3) attitudes and beliefs, and (4) capacity to implement the contents of the education programme. This study contributes to the SDP literature by highlighting the important relationship between coach education and programme implementation. Oxford21 explores the social, cultural, and historical complexities that shape and constrain (gendered) space in an SDP organisation in Colombia. Recent research on the role of ‘safe space’ within SDP shows that the social inclusion of young women in traditionally male sporting spaces may shift who can comfortably access and shape public spaces.21 Drawing upon six months of ethnographic research conducted with two Colombian SDP organisations, within two volatile neighbourhoods, safe space is framed as a social construction and a dynamic process. While the SDP organisation’s ability to adapt to change and resign control makes it accessible to the local community, the positioning of both the organisation and participants simultaneously permits the continuation of gendered space. This data is analysed through Spaaij and Schulenkorf’s22 multi-dimensional interpretation of safe space. It is concluded that further research about the physical and psycho-social barriers that constrain females from participating in SDP programming is needed. Baker, Atwater and Esherick23 explore United States (U.S.) sport diplomacy in Latin America and the Caribbean. The focus of this study is a specific SDP program, entitled Sports Visitors, executed in partnership between George Mason University and the U.S. Department of State. The purpose of this program evaluation was to examine a subset of Latin American and Caribbean groups and to ascertain the short-term impact of a program that focusses on changing participant attitudes. The study took place over a 5 year period and applied a mixed methods approach to the collection of quantitative survey data that was supplemented by qualitative comments provided by participants. The results indicate that a) positive change occurred among participants across all objectives measured, and b) changes were consistently reflected across each type of LAC participant group based upon gender, role, and gender with role. Given the unique social, economic and political context of Latin America and the Caribbean, future research is needed to examine SDP initiatives that address some of the ongoing challenges in the development of the region such as violence, crime, lack of education and unemployment. Furthermore, as Latin America is home to some of the most notorious social movements, it is also worth exploring the interplay between grassroots mobilization and sport as a response to specific social concerns. We also recommend increased evaluative research on SDP programs, as well as strongly advocate for the importance of creating a community of knowledge that fosters collaborative efforts among academic institutions, community-based organizations, donors and the international community. Finally, future research should also look into successful experiences, lessons and best practices on the use of sport as an enabler of social development in Latin America and the Caribbean, which can in turn inform global SDP research and practice. Centro de Memoria Histórica. (2013). ¡BASTA YA! Colombia: Memorias de guerra y dignidad. Bogotá: Imprenta Nacional. Cárdenas, A (2015d). El deporte como estrategia para la construcción de paz en sociedades divididas. Revista electrónica actividad física y ciencias, 7(2), 2-19. Aisch, G., Leonhardt, D., & Quealy, K. (June 10, 2014). World cup opinions in 19 countries: Likes, dislikes, predictions. In The New York Times (The Upshot – Pulse of the People). Cardenas (2015) Alexander Cárdenas, ‘ The Use of Football and other Sports for Peace Building in Colombia and Northern Ireland’, unpublished doctoral dissertation, University Jaume I, 2015, p. 246-253. Dyck, C. B. (2011). Football and Post-War reintegration: Exploring the role of sport in DDR processes in Sierra Leone. Third World Quarterly, 32(3), 395-415. Hamilton, A., Foster, C., Richards, J. (2016). A systematic review of mental health impacts of sport and physical activity programs on adolescents in post-conflict settings. Journal of Sport for Development, 4(6), 44-59. Lederach, J. P. (1997). Building peace: Sustainable reconciliation in divided societies. Washington, DC: United States Institute of Peace. Cardenas, A. (2016) “Sport and Peace-Building in Divided Societies: A Case Study on Colombia and Northern Ireland,” Peace and Conflict Studies: Vol. 23: No. 2, Article 4. Richards, J., Foster, C. (2013). Sport-for-development program objectives and delivery: a mismatch in Gulu, Northern Uganda in Global Sport-for-Development: Critical Perspectives. Melbourne: Palgrave MacMillan. Gadais, T., Webb, A., Garcia, A. Using report analysis as a sport for development and peace research tool: The case of El Salvador Olimpica Municipal’s programme. Journal of Sport for Development. 2017; 6(10): 12-24. Greimas AJ. Du sens II. Paris: Seuil. 1983:245. Alcaldía Municipal de San Salvador y Programa Conjunto Reducción de Violencia y Construcción de Capital Social en El Salvador San Salvador. Proyecto Juventud Olímpica Municipal, Modelo de club. San Salvador: Alcaldía Municipal de San Salvador, 2013. Hills, S., Velásquez, A.G., Walker, M. (2018) Sport as an analogy to teach life skills and redefine moral values: A case study of the ‘Seedbeds of Peace’ sport-for-development programme in Medellin, Colombia 6 (11): 25-37. Zipp, S., Nauright, J. Levelling the playing field: Human capability approach and lived realities for sport and gender in the West Indies. Journal of Sport for Development. 2018; 6(10): 38-50. Wright, P.M., Jacobs, J.M. Howell, S., Ressler, J.D. Immediate outcomes and implementation of a sport for development coach education programme in Belize. Journal of Sport for Development. 2018; 6(10): 51-65. Oxford, S. (2017). The social, cultural, and historical complexities that shape and constrain (gendered) space in an SDP organisation in Colombia. Journal of Sport for Development. 6 (10): 1-11. Spaaij, R., Schulenkorf, N. (2014) ‘Cultivating Safe Space: Lessons for Sport-for-Development Projects and Events’, Journal of Sport Management. 28(6): 633-645. Baker, R.E., Baker, P.H., Atwater, C., Esherick, C. U.S. Sport diplomacy in Latin America and the Caribbean: A programme evaluation. Journal of Sport for Development. 2018; 6(10): 66-80.